1720 Crotona Avenue • Bronx, N.Y. 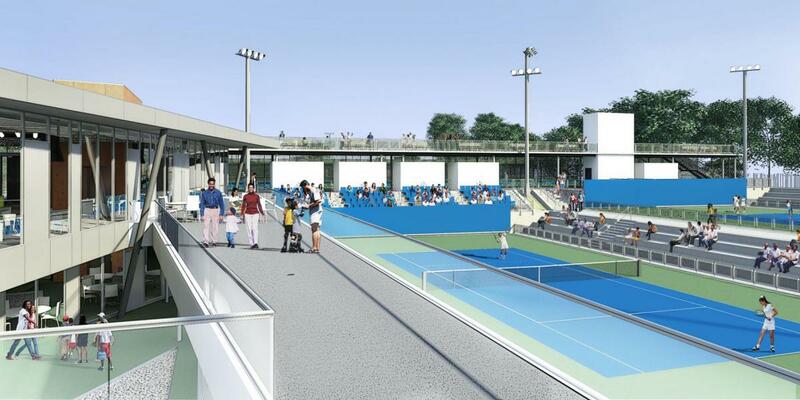 The Cary Leeds Center for Tennis & Learning houses a two-story, 12,000-square foot clubhouse, educational spaces, and access to 20 courts (10 bubbled for winter/indoor use) and two stadium courts that seat up to 800 spectators. Seven-time Grand Slam Champion, Liezel Huber, leads a world-class team of tennis professionals offering programs and private lessons for juniors and adults of all skill levels. The Center also hosts summer camps, tournaments and community-based events. 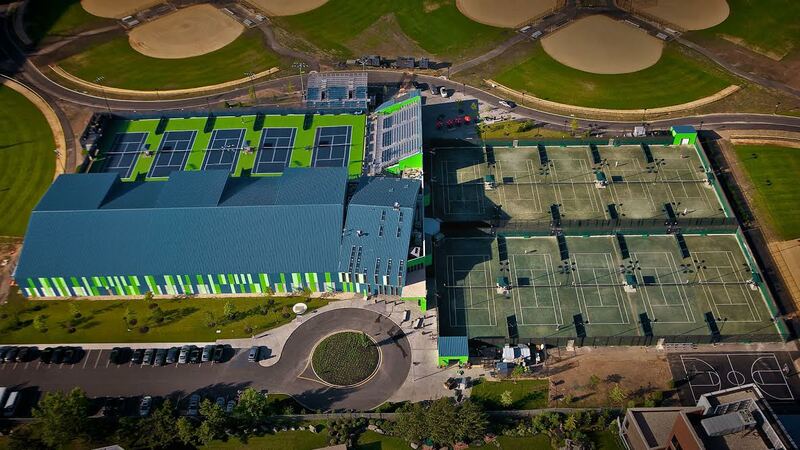 The Cary Leeds Center for Tennis & Learning is the flagship home of New York Junior Tennis & Learning (NYJTL), the largest youth tennis and education non-profit in the nation. In serving its larger mission, the Cary Leeds Center provides 6,000 hours of free tennis court time to the community. 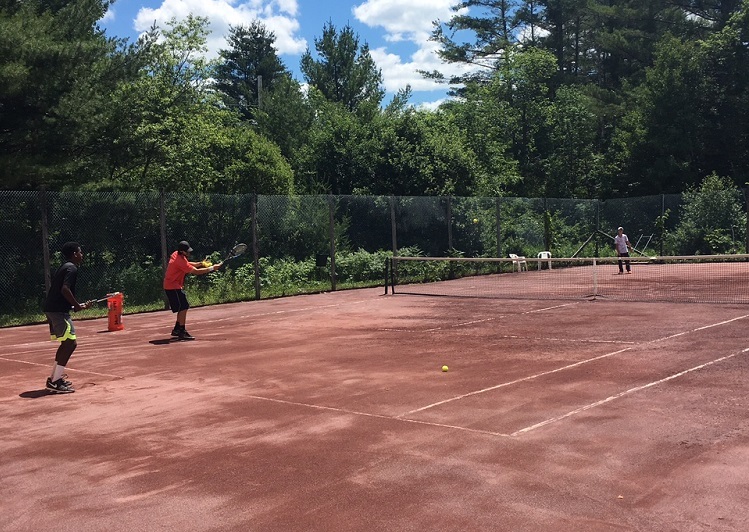 65 Columbia Road • Morristown, N.J.
3997 VT-100 • Londonderry, Vt.
Chris Lewit Tennis Academy (CLTA) is a serious high performance academy set in the natural paradise of Vermont. Players live in a charming Vermont Inn and have exclusive use of a private tennis club, CLTA Vermont, which offers both outdoor red clay courts and indoor hard courts in the event of rain, gym, yoga studio and clubhouse. For more information, contact Chris directly to discuss your player's development plan by e-mail at Chris@ChrisLewit.com, call (914) 462-2912 or visit ChrisLewit.com. 195 County Road •​ Tenafly, N.J.
Gilad Bloom Tennis has been operating in New York City since 2000 and is a boutique junior program geared for juniors ages six through 18, who want to take their game to the next level. It is a year-round program which offers group sessions, private lessons and tournament travel, seven days a week. The program is personally run by Gilad Bloom, there's a strong emphasis on technique and footwork, and a lot of personal attention, as well as attention to detail, with a maximum of four kids per court, Gilad Bloom Tennis also offers two match play sessions on weekends for kids who enroll in the program (match play takes place Saturday-Sunday from 3:00 p.m.-5:30 p.m.). 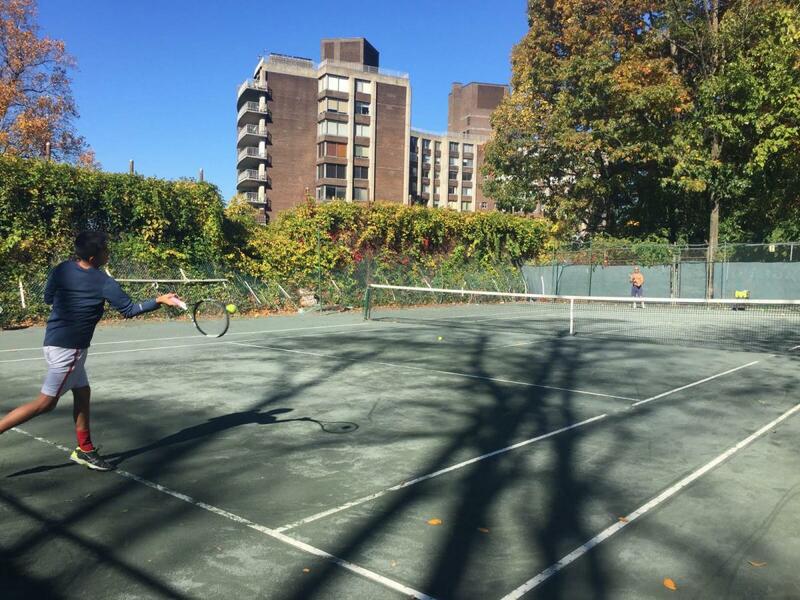 During the Fall/Winter Season, Gilad Bloom Tennis runs sessions at Riverdale Tennis Center (September/October), Cary Leeds Tennis Center and New York Tennis Club (November-April 2017). Bloom is a former Israeli Davis Cup player and two-time Olympian, who has been running his own tennis program since 2000. Gilad served as director of tennis at John McEnroe Tennis Academy for two years. He played on the ATP Tour from 1983-1995, reaching the fourth round of the U.S. Open in 1990. Gilad reached a career-high singles ranking of 61st in the world and was Israel’s singles champion on three occasions. For more information, e-mail Gilad Bloom directly at Bloom.Gilad@gmail.com. Gotham Stadium NYC is located two blocks south of Yankee Stadium at East 152nd Street and the Harlem River. 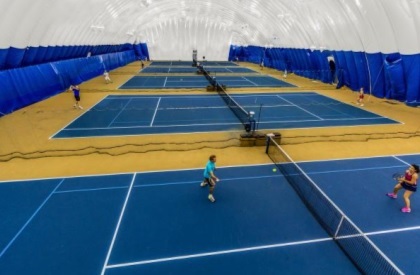 This popular facility is quickly shaking its label as “the best-kept secret in New York City tennis,” featuring 16 cushioned, newly-surfaced U.S. Open-style Deco-Turf hard courts, including 12 indoor courts, which are now open for year-round indoor play. Stadium’s first indoor season came at the end of 2010, and today, the staff, players, and families are thrilled with the success and tremendous growth of their favorite facility. Stadium Tennis Center also offers complimentary on-site parking to the north of the facility. The newly-remodeled Café and Clubhouse will welcome you to host special events, birthday parties, and tennis gatherings for all of your family and friends, and the updated Pro Shop offers all your tennis necessities. The Clubhouse also features clean, secure locker rooms and lounge areas, Wi-Fi computer access, a workspace where children can do schoolwork and read, as well as an always-growing tennis library. This highly-touted facility offers a full complement of tennis programs for juniors and adults of all skill levels and ages. In partnership with Gotham Tennis Academy, a leader in developing and operating tennis programs in New York City and the Hamptons, Stadium Tennis Center employs high level, experienced tennis professionals from all over the world who have established a strong sense of ownership in the success of the total Stadium Team. Stadium’s Elite High Performance and Junior Development Programs continue to expand exponentially, and the 10 & Under Program has been reinforced to follow the true Gotham Pathway to tennis .For adult players, fast-paced group clinics and cardio tennis workouts are offered daily, in addition to indoor seasonal court rentals, private lessons, game-arranging, leagues and tournament play. 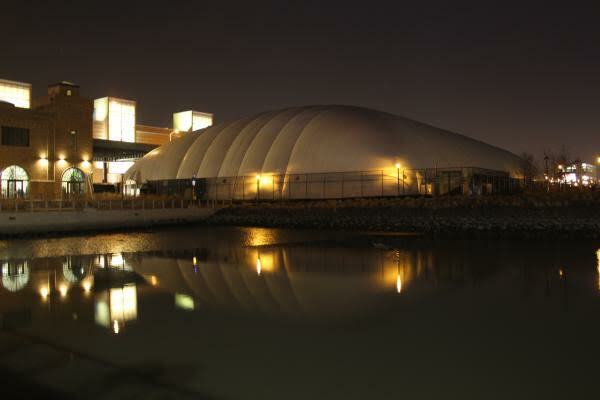 More information about Stadium Tennis Center at Mill Pond Park, visit StadiumTennisNYC.com or call (718) 665-4684. More information about Gotham Tennis Academy, visit GothamTennis.com or call (646) 524-7069. 450 West 43rd Street • New York, N.Y.
Manhattan Plaza Racquet Club (MPRC), an Advantage Tennis Club, is located at 450 West 43rd Street (between 9th Avenue and 10th Avenue) in New York City (open Monday-Sunday from 6:00 a.m. until midnight). MPRC offers luxury tennis in the heart of Manhattan, with five indoor championship hard courts, air conditioning in the summer, a luxurious duplex clubhouse with terrace, a new tennis bubble, private lessons and group lessons for all ages and levels, game-arranging, quality tennis programs for members and non-members, leagues, tennis camps, parties, doubles play, tournaments, a pro shop with stringing services, and nice locker rooms. MPRC membership includes a full membership to Manhattan Plaza Health Club. MPRC members can fully access the Health Club’s many fitness classes, climbing walls, gym, glass enclosed swimming pool, sundeck, sauna and more. There is indoor parking also available on the premises. MPRC’s most popular program for members is game arranging that follows the NTRP Rating System. MPRC has some of the best tennis-teaching professionals in New York City who offer private lessons and group lessons. MPRC offers several categories of membership, including the Advantage Passport Tennis/Sports MultiClub Membership to Roosevelt Island Racquet Club & Sports Park and the New York Tennis Club. For membership information, contact MPRC Assistant Manager and Membership Director Lauren Hartman at (212) 594-0554. MPRC also offers season/open tennis time, and for more information on these opportunities, contact MPRC Manager Milos Vojvodic at (212) 594-0554. For more information on tennis lessons and Adult Tennis Programs, contact MPRC Assistant Tennis Director Bruce Barney at (212) 594-0554. MPRC also offers QuickStart Junior Programs, for more information, contact MPRC’s Junior Program Administrator Gabriel Slotnick at (212) 594-0554. 2781 Shell Road • Brooklyn, N.Y.
2350 East 69th Street • Brooklyn, N.Y.
MatchPoint NYC is the sports and fitness destination for the entire family, located in Brooklyn, N.Y., only 20 minutes away from downtown Manhattan. Spread across 120,000-square-feet, MatchPoint’s premier health and fitness complex features a cutting-edge tennis facility that includes nine indoor tennis courts. MatchPoint’s Tennis Coaching Team is led by Numrud Nino Muhatasov, Co-Founder and Director of MatchPoint NYC (a former coach of top WTA and ATP players, former captain and number one singles and doubles player for the St. John's University Tennis Team, Big East Conference Finalist and two-time Most Valuable Player), together with featured Coach Alona Bondarenko (Australian Open Doubles Champion in 2008, ranked in the top 20 in the world in singles and top five in the world in doubles) and Director of Tennis Sergey Igel (U.S. Open Official Hitting Partner, 2011 MAAC MVP of the Year, USPTR Certified Coach). MatchPoint NYC’s world-class junior tournament training programs (by invitation only) are comprised of highly-ranked players on national and international levels. The club offers personalized coaching for each player, plus private lessons, intensive drills, match play, tennis-specific fitness conditioning and mental conditioning. MatchPoint has a wide range of programs for all levels, including adult leagues, QuickStart, Junior Development (beginner, intermediate, and advanced) and private lessons taught by accredited USPTA-certified coaches. MatchPoint NYC’s WiFi-enabled Café is open for breakfast, lunch and dinner. Relax and unwind after a game, grab a bite to eat or relax while you watch your child on the court. Enjoy a healthy snack or get refreshed with a smoothie at the juice bar. Stop by the Pro Shop if you forgot something or if you need your racquet restrung. Free parking is also offered on premises. Additional club features include a luxury full-sized gym, three group fitness studios, a Junior Olympic pool, a basketball court and a variety of youth and adult recreational and competitive training programs. MatchPoint NYC-certified instructors and personal trainers are friendly, approachable and ready to assist in your individual fitness objectives. The group swimming and exercise classes in Matchpoint’s specialized studios or outdoor field, health metrics assessments, and one-on-one training will get you the desired results in your quest for a healthier lifestyle. Complete your day of health and fitness by winding down and relaxing in the steam sauna. Join MatchPoint NYC and FIND YOUR GAME! 341 8th Avenue • New York, N.Y. 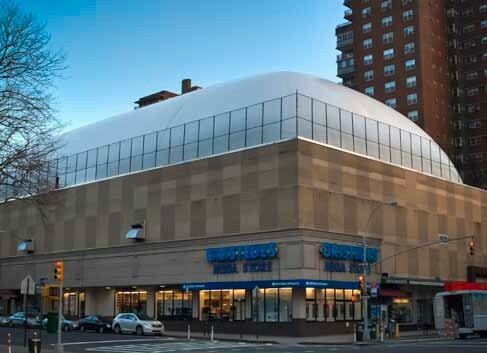 Midtown Tennis Club is Manhattan’s original indoor tennis facility, conveniently located in the heart of New York City. Situated on 8th Avenue, between 26th and 27th Streets, Midtown Tennis Club is easily accessible by public transportation. In a city filled with commitments and membership dues, it’s a breeze to reserve at Midtown for an hour or more of court time, a private lesson or one of Midtown’s clinics. Midtown has four indoor HarTru courts for year-round use and four outdoor HarTru courts which are bubbled and heated during the winter months. Midtown’s outdoor season enables City-dwellers to play on our open-air courts with spectacular views of the Manhattan skyline. Midtown offers an extensive team of tennis professionals who are available to provide lessons to all ages and levels. If you are looking to develop your existing skills, learn new techniques, get a great cardio workout or prepare for your next tournament, Midtown can accommodate your needs! Midtown’s clinics are offered for total beginners and all levels up to competition players. Sign up for one month, one day or all-year! The Friday Night Round-Robin is a popular event in the winter season which attracts intermediate to advanced players looking for friendly doubles matches. It is a great way to meet new tennis friends. Midtown is home of The Manhattan Tennis Academy (TMTA), New York City’s premier Junior Development Program. TMTA offers after-school classes for juniors of all ages (four years of age and up) and levels. TMTA features the QuickStart program, as well as a competitive training program, and offers small classes throughout the school year. 3081 Harding Avenue •​ Throgs Neck (Bronx), N.Y. Founded in 1886, New York Tennis Club is the oldest active tennis club in New York, with the year 2018 marking their 132th consecutive season. Throughout the years, the Club has maintained a reputation for its restful atmosphere, congeniality of its members and its professional approach to a truly popular sport. With a patio and viewing deck and six HarTru courts, the Club is a haven in a quiet corner of the City. Convenient to Manhattan, Queens and lower Westchester, it’s also the best value in the Tri-State area. Sit back and relax in the recently renovated clubhouse and lounge, grab a bite to eat at the snack bar or unwind in the remodeled locker rooms. There is also on-site racquet stringing in the pro-shop and ample free parking located on the premises. 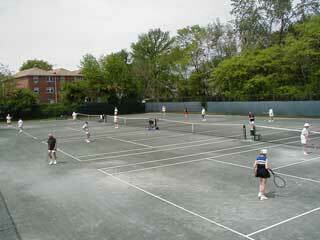 New York Tennis Club is a club for all seasons. For the upcoming indoor season, mid-October to the end of April, New York Tennis Club offers high-quality courts at competitive rates. The two climate-controlled bubbles are equipped with shadow-less, non-glare lighting, with hourly court time at rates between $43-$80 per court, as well as seasonal court options. Hours of operation are 7:00 a.m.-11:00 p.m., seven days a week, and no membership is required. The rest of the year is outdoor season, when the Club offers unlimited play—as much tennis as members wish. Tennis lovers can soak up the sun on lush lawns surrounded by flower gardens, sit in the shade of willow trees or have lunch on a covered patio or in the clubhouse, which offers dining facilities, locker rooms and showers. For additional information, visit NewYorkTennisClub.com. The Club offers adult programs for skill sets of all levels. Program offerings include singles and doubles leagues, a comprehensive game arranging program for both singles and doubles players, private and group instruction for all levels, cardio tennis classes, and tennis parties, where guests are welcome. 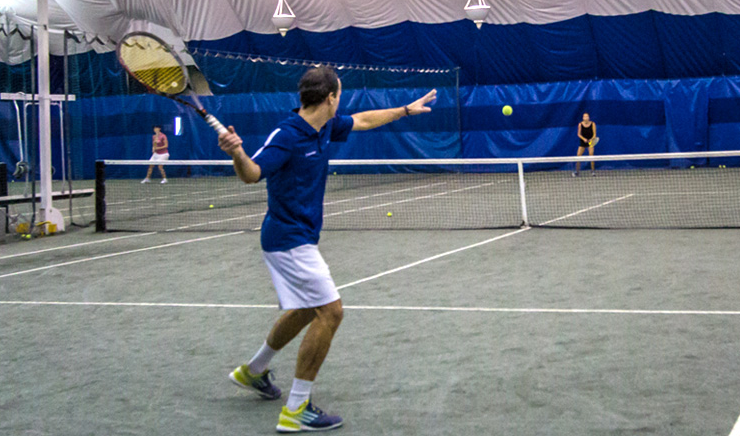 Whether you are new to tennis, or want to take your game to the next level, New York Tennis Club has a program for you. 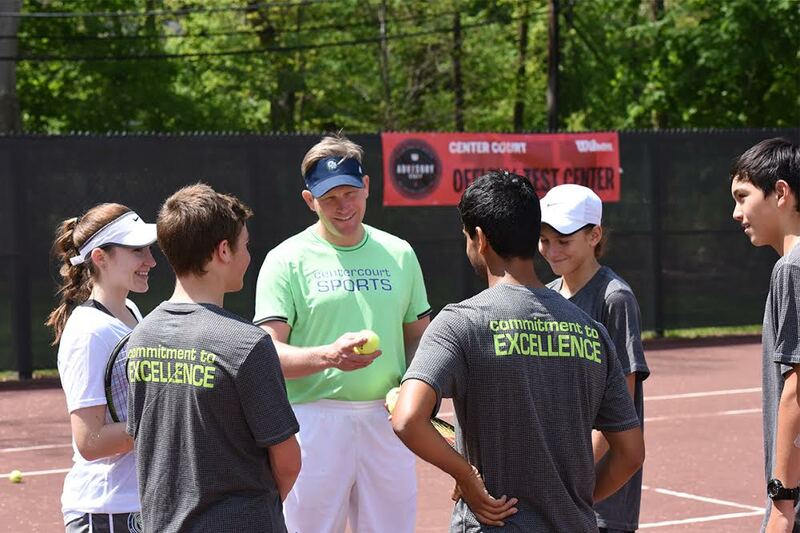 The Tennis Program, directed by Tennis Director Salif Mohammed, offers year-round classes, camps and programs for all ages and levels, including a High Performance program. There are QuickStart classes for ages four through 12, summer and holiday camp programs, after-school programs, tournament training for advanced competitive players and match play. During the school year, classes are offered both after-school and on Saturdays. The Junior Tennis Camp offers one-week sessions during the month of August. One more special feature: The Advantage Passport Membership, which offers members a whole new level of benefits and access. Passport memberships include free summer court time on reserved courts at Roosevelt Island Racquet Club (RIRC) and New York Tennis Club, plus membership privileges at Manhattan Plaza Racquet Club, Manhattan Plaza Health Club and New York Tennis Club. For more information, call (718) 239-7919. See you on the courts! 281 Main Street • Roosevelt Island, N.Y.
Now in its 26th year of operation, Roosevelt Island Racquet Club (RIRC) is part of Advantage Tennis Clubs. Roosevelt Island Racquet Club is conveniently located on beautiful Roosevelt Island, New York City’s oasis on the East River. The Club features 12 HarTru courts under new bubbles with shadowless, non-glare lighting, heated and air conditioned for comfortable year-round play. The exercise room includes a treadmill, exercise bikes, elliptical trainers and free weights to accommodate almost any workout. The Club boasts a completely stocked pro shop, locker room facilities, two social lounges, Riverview Lounge with a breathtaking view of Manhattan’s skyline, and free parking. RIRC is easily accessible by tram, subway or car (free on-site parking). The Roosevelt Island Tram (from 60th Street and 2nd Avenue) stops adjacent to the Club, and the subway (F Train) stops one block from the club. RIRC offers a range of adult programs for players of all levels. Program offerings range from the Advanced Singles League for the experienced competitive player, to Beginner Group Lessons for people new to the sport of tennis. Cardio tennis is one of the Club’s most popular programs and is offered daily for those looking to combine a cardio workout with tennis. Whatever your goal, there is a program for you! The Advantage All-City Junior Tennis Program offers year-round classes, camps and programs for all ages and levels. There are QuickStart classes for ages three and older, summer and holiday camp programs, after-school programs, tournament training for advanced competitive players, and match play. During the school year, classes are offered both after-school and on Saturdays. The Advantage All-City Junior Tennis Camp offers one-week sessions from mid-June through the end of August. RIRC offers a Gold Membership that includes full Club privileges, 14-day advance reservation privileges, member court fees with an average savings of $35 per court hour, game arranging and member discount on all programs. The Club is excited to offer Advantage Passport Membership, which offers members a whole new level of benefits and access. Passport Memberships include free summer court time on reserved courts at RIRC and New York Tennis Club, plus membership privileges at Manhattan Plaza Racquet Club, Manhattan Plaza Health Club and New York Tennis Club. For more information, contact Steve O’Keefe or Kimberly Latif at (212) 935-0250. 20 Goodfriend Drive • East Hampton, N.Y.
One Randall’s Island • New York, N.Y.
Sportime Randall’s Island, a state-of-the-art, 20-court tennis and training facility located on Randall’s Island in Manhattan, is home to the John McEnroe Tennis Academy (JMTA) and the 501(c)(3) Johnny Mac Tennis Project (JMTP). Sportime Randall’s Island features 160,000-square feet of tennis courts and amenities, including five indoor and five indoor/outdoor Deco-Turf tennis courts, and 10 indoor/outdoor HarTru clay tennis courts. This extraordinary club also features a functional training and fitness center; comfortable lounge areas with excellent viewing; a junior lounge/computer lab; a pro shop featuring top brands and 24-hour stringing; member lockers with steam rooms; a café serving healthy food, snacks and beverages; and classrooms, party rooms and meeting facilities. In September 2010, Sportime and tennis legend John McEnroe together launched JMTA at Sportime Randall’s Island. The Academy is led by Sportime/JMTA Managing Director Bennett Schlansky; General Manager Michael Ward; Directors Lawrence Kleger, who has trained and coached more nationally-ranked and world-ranked juniors than anyone in the history of the USTA Eastern Section, and Patrick McEnroe; Director of Sports Performance and Junior Athletic Development Director Richard-John Mensing Jr.; and other world-class Sportime/JMTA directors. The Sportime/JMTA tennis and athletic development coaching staff is comprised of more than 40 experienced professionals from around the world, all selected by Johnny Mac and the Sportime/JMTA leadership team, who, under that team’s guidance, implement the innovative and unique vision of JMTA. 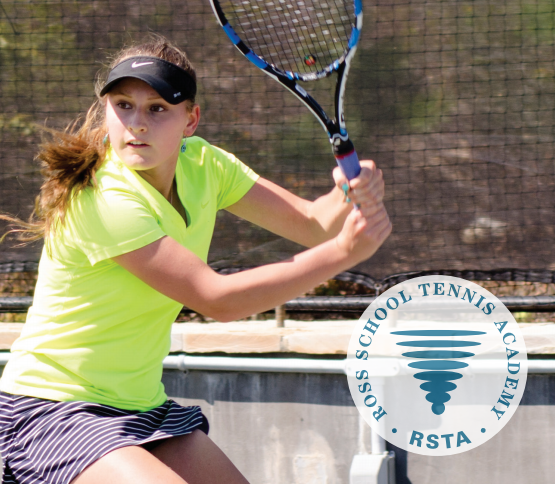 Sportime/JMTA is proud to have developed hundreds of players who have received full or partial scholarships to top colleges and universities. Current JMTA pro players include Noah Rubin, a top 150 player on the ATP Tour and 2014 Junior Wimbledon, and Jamie Loeb, current WTA top 250 and the 2015 NCAA singles champion from the University of North Carolina. In addition to world-class group training for top juniors, Sportime offers a wide variety of programming for players of all ages and levels, including the “Tennis Whizz” program for preschoolers, Sportime’s trademarked Under 10 Mac Red and Mac Orange Ball programs for younger, developing players, and the best group programming and facilities in New York City for adult players. Sportime Randall’s Island also offers private tennis lessons, private athletic training, mental toughness and sports vision training, physical therapy, special events, and more. Also based at Sportime Randall’s Island is the Johnny Mac Tennis Project, which provides scholarships for Sportime/JMTA players and introduces the sport of tennis as a life-long health, fitness and social activity to thousands of under-resourced New York City area kids, particularly those living in the two neighboring communities of East Harlem and the South Bronx. JMTP’s mission is to change young lives by removing the economic and social barriers to success through tennis. It’s all on Randall’s Island under the RFK/Triboro Bridge. Contact Director of Membership Sales and Services Jay Karl at (212) 427-6150 or e-mail JKarl@SportimeNY.com for more information and to schedule a visit. 2800 Sportsplex Drive • Coral Springs, Fla. Located in Broward County, Fla., TW Tennis LLC is owned and operated by Todd Widom. 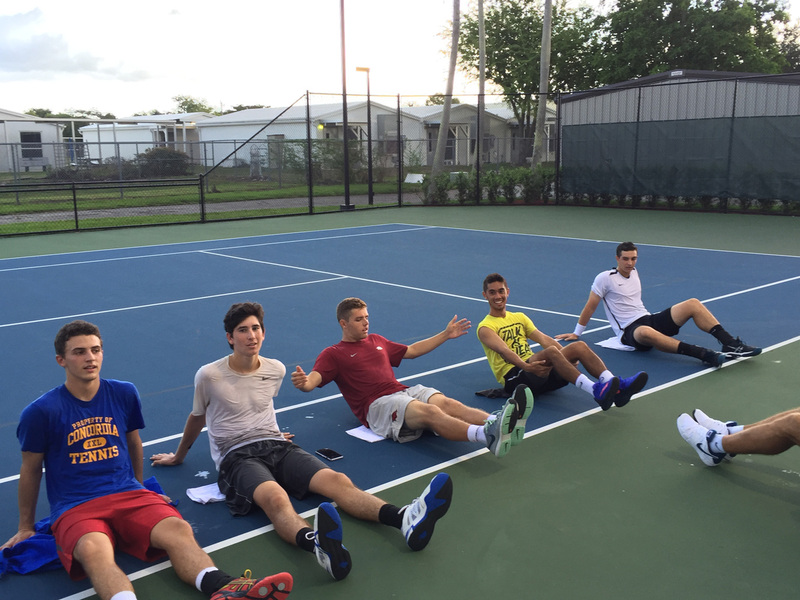 TW Tennis is South Florida’s premier small group/private tennis training geared exclusively for the high performance junior collegiate, or professional tennis player. Under Widom’s personalized approach, every workout–be it tennis or physical fitness–is geared towards the needs of an individual, as each and every player has different abilities and a different physique. Since the summer of 2010, TW Tennis students have attended Princeton University, Brown University, University of Pennsylvania, Cornell University, Wake Forest University, University of Miami, University of Arkansas, University of Tennessee, Florida Atlantic University, Lynn University, University of Wisconsin–Madison, and Stetson University. Widom competed in USTA junior tennis in South Florida from 1989-2001, obtained a number five ranking in U.S. Boys 16s and, in 2001, held the number one ranking in U.S. Boys 18s. Widom received a full athletic scholarship from the University of Miami where he was named MVP of the team and conference and earned the All-American status during both freshman and sophomore years while playing the number one singles slot. After reaching the semifinals of the NCAA tournament in 2003, Widom turned professional and joined the ATP Tour. Widom retired in 2010 after six years on the ATP Tour due to injury and began TW Tennis. TW Tennis uses the tennis courts at the Tennis Center of Coral Springs with 12 green HarTru and four Deco Turf courts. Flushing Meadows Corona Park • Flushing, N.Y.
1 Tennis Place • Forest Hills, N.Y.
West Side Tennis Club is well-known for hosting the U.S. Open Tennis Championships. Today, it is home to 830 members, maintaining the best of a celebrated past and rich history. West Side Tennis Club often surprises first-time visitors. Anchored by its historic stadium, the renowned Tudor-style clubhouse, along with a junior Olympic pool complex, West Side's 12 acres are both a majestic setting and a tranquil oasis in the heart of New York City. West Side Tennis Club is located just 20 minutes from the bustle of midtown Manhattan, easily accessible by car, bus, subway or the Long Island Railroad. West Side maintains 38 tennis courts on four different surfaces: Grass, HarTru, Red Clay and Deco-Turf and provides year-round tennis utilizing its 10-court indoor facility. Former French Open Grand Slam Doubles Champion Luke Jensen is the new Director of Racquet Sports, and Akemi Kinoshita, who competed at all four Grand Slams, is the Associate Director of Racquet Sports. Members can take advantage of group or private lessons, clinics, tournaments, ladders, arranged matches, round-robins and a year-round junior program, including summer camp, a pro shop and swimming lessons. West Side Tennis Club also offers a full-service restaurant and bar with spectacular sunset dining, and private party and corporate outing facilities. Platform tennis, bridge, and fun-filled activities and social events for all ages at all levels are scheduled year-round. On weekends and weekdays, it’s a fabulous warm weather getaway for families, with a tennis day camp that is the perfect summer activity for children. So convenient, what better way to end a day at work than with a game of tennis, a dip in the pool, and watching the sun set having drinks on the club house patio. And for getting business done in a special way, it’s a unique place to spend quality time with customers, business associates and colleagues. There is even wireless Internet access available anywhere in the clubhouse. Want to do a truly special event for a small or large group of people, West Side Tennis Club has everything you could want to create a special occasion. There is something for everyone at the West Side Tennis Club. For more information, visit ForestHillsTennis.com or call (718) 268-2300.